Disclosure statement: Douglas Clark receives funding from The Social Sciences and Humanities Research Council of Canada. This research has also been financially supported by Parks Canada, the University of Saskatchewan, and the Churchill Northern Studies Centre’s Northern Research Fund. Partners: University of Saskatchewan provides funding as a founding partner of The Conversation CA. North America’s three bear species — black bears, grizzly bears and polar bears — don’t typically live in the same place. But in Wapusk National Park, on the west coast of Hudson Bay in northern Manitoba, we caught all three bears on camera — for the first time. Brynn Devine receives funding from the Research and Development Corporation of Newfoundland & Labrador. Jonathan Fisher receives funding from the Natural Sciences and Engineering Research Council of Canada and the Ocean Frontier Institute (OFI; www.oceanfrontierinstitute.com). The OFI was established within the Canada First Research Excellence Fund. The Centre for Fisheries Ecosystems Research receives funding from the Government of Newfoundland and Labrador. Partners: Memorial University of Newfoundland provides funding as a founding partner of The Conversation CA. This area is known as a vital feeding and nursery ground for many Arctic species of both ecological and Inuit cultural significance, including whales, seabirds, polar bears, seals and walruses. Our video data now shows that this area might of be important to Greenland sharks too, at least in summer months. Disclosure statement: Paul Butler receives funding from the EU. Partners: Bangor University provides funding as a member of The Conversation UK. Dad used to say to me that sharks’ flesh has a hard time dying. The shark can be rotten, even sticky rotten, and when you touch the skin or the meat it still moves. You know, it is still alive but it is rotten. This might sound rather gruesome, but it turns out that this reputation has an element of truth to it. 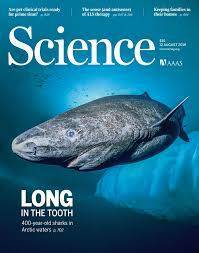 With an estimated lifespan of 400 years, the Greenland shark has just been reported to be the longest-lived vertebrate on the planet. This is only the latest of a series of recent findings that push the boundaries of animal longevity, and it raises the perennial question of what factors enable some animals to achieve what we might call extreme longevity – lifespans that can be measured in centuries. At the high latitudes where the shark lives, the limited amount of light during the winter means fewer plants and algae for other creatures to feed on, which can affect the amount of nutrients right up the food chain. So the ability to withstand the poor years and reproduce during the good years is key to the shark’s’ survival, and a long lifetime is a great way to maximise the number of good years. Bottom of the sea, top of the pile. The clam species Arctica islandica holds the record for the longest-lived animal known to science. We can measure its exact age by counting the annual bands in its shell, and this is how we identified a specimen (now popularly known as “Ming”) collected from Iceland that had lived for 507 years.